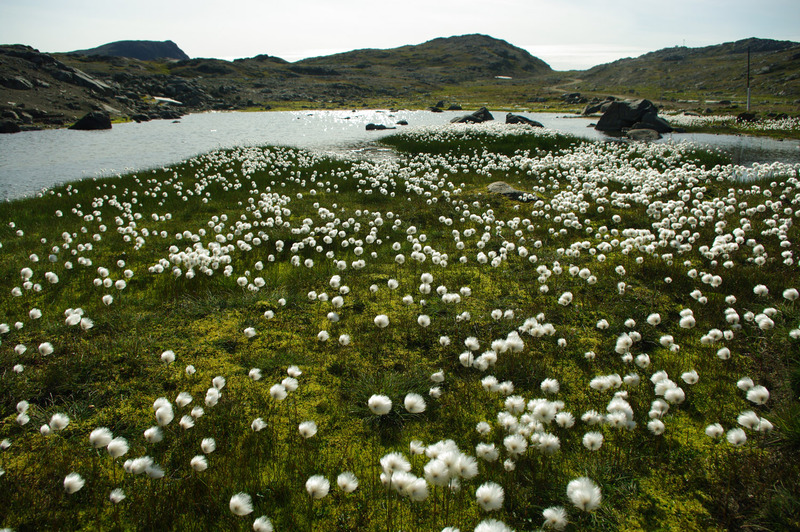 The flowering heads of cotton grass Eriophorum. This small sedge is found quite commonly growing on flat damp areas where each fluffy white flowering head acts as a little wind-sock. Away from the sun they look like little cotton-wool balls on sticks, but viewed against the sun they really light up.